One of the biggest challenges facing leadership today is the idea of human capital management. It is an intriguing topic because there are no step by step instructions or a definitive “right way”. There were a number of sessions focused on this topic and the “soft skills” that go hand in hand. Two areas that were of particular interest related to the formation of the sourcing team, and dealing with a multi-generational workforce. We dive into each topic a bit deeper below. Forming your Team – Hiring qualified candidates is a battle that faces management in all industries across every department. Everyone seeks the best, the brightest, and the most qualified candidate for their team. However, maybe it’s time to stop looking for “the unicorn”, in other words, finding the absolute perfect resource for your team. The time and effort spent chasing unicorns sometimes exceeds the length of time that resource works for you. Rather than identifying one resource, and having this one resource be all things to all people, consider developing a well-rounded team with a mix of skills sets and knowledge in diverse areas. The combination of these strengths and abilities may put you ahead of where you’d be if you caught the proverbial unicorn. Embracing Generational Differences – Managing a multi-generational workforce is one of the key challenges facing the world, and not something that is unique to sourcing. More than 50% of the workforce is currently made up of Millennials, and we now also have Generation Z participation. The stereotype around Millennials is they can be disengaged job hoppers, however, a CNBC research study shows that 90% of millennials would prefer to stay in a job when offered annual raises and upward career mobility. Additionally, the study noted that 77% would be willing to take a salary cut in exchange for long-term job security. Understanding how different generations learn, what motivates them, and how you keep them performing at a high level is a fundamental factor to the success of your team. When you break it down, whether hiring and forming a team or managing an existing team, the important takeaway was to see people as individuals and not as generational stereotypes. Remember to be open and flexible, and strive to understand the individual prior to passing judgement. Whether attending sessions or talking with other conference participants, it is no secret that advancing technology is a focal point for Sourcing Managers. Companies are striving to simplify, streamline, and automate wherever possible to increase efficiencies. There were detailed explanations of capabilities, and demonstrations of different software solutions, all of which seemed impressive. As expected though, there are challenges and drawbacks to these advancements. While improvements are being made, a single software or platform is not likely to replace human resources in the near term. As an example of this, SC&H has helped audit suppliers whose spend is managed through procurement software, and identified millions of savings based on pricing components not addressed by the software. AI and other technological advances will continue to take on a huge role in sourcing, however, a solid sourcing team will still remain as a necessity. As if implementing new software or platforms is not complicated enough, the next worry is whether data housed in these technologies is secure. An individual cannot listen to the radio, surf the web, or watch TV these days without hearing about another data breach. It seems individuals and companies are under constant attack from hackers, and the methods implored by hackers become more sophisticated by the day. Let’s face it, data security and data privacy are both issues that require attention. These terms are frequently used synonymously. However, it is important to be aware of the differences and ensure you account for both. Data security focuses on making sure data isn’t used or accessed by unauthorized parties, whereas data privacy is specific to the appropriate use of said data. We’ve all heard IT talk about how ironclad our networks are, or how safe our client data is from the outside world, but here is a scary thought: the majority of threats come from internal sources. According to Gartner, trusted inside sources generate more than 70% of unauthorized data access. From a sourcing group perspective, there are added challenges of dealing with third parties and their data security. As a result, it is imperative that you address both topics in your third party contracts. As regulations and mandates continue to increase, so will the need for compliance. Regulations will likely mean more costs, but far outweigh the costs of a data breach or bad publicity. If you want to save time and money, consider addressing data security/privacy measures in a contract addendum rather than including it in your standard contract template. This will reduce the time for revisions every time new legislation is introduced. SC&H Group was fortunate enough to present at the SIG Spring Summit. Patrick Gahagan, a Director in SC&H’s Contract Compliance Audit Services practice, spoke about Optimizing Outcomes in Business Relationships. 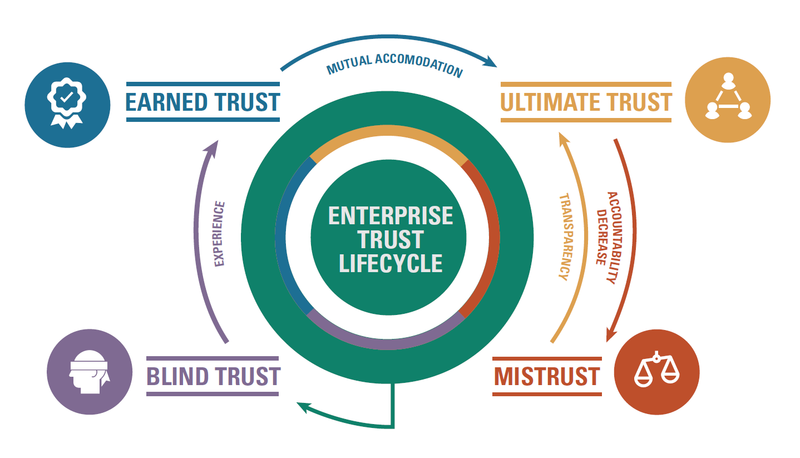 The presentation aligned with many of the themes discussed above, and focused on enterprise relationships and trust. Below is graphic used in Patrick’s presentation that describes the enterprise relationship lifecycle. Patrick explained how enterprise relationships are simply personal relationships at scale. They are difficult to start, require work to maintain, and people don’t often appreciate the relationships until they are over. Developing a team takes effort and trust, and sometimes the strength of the team will outweigh individual abilities and expertise. Advancements in technology have a huge impact on the sourcing profession, but can lack transparency, have certain security and privacy risks and in the end, require a team. People often rely on blind trust with data security and data privacy, especially when using a third party to help monitor. How do you move that partnership to the ultimate trust phase? Overall, the SIG Spring Summit was excellent, and filled with learning, networking, and discussions about the current state of sourcing and the emerging trends. We are excited to keep these conversations going throughout the year, as these trends unfold and continue making an impact within sourcing groups. If you’re looking for more insights into SC&H Group’s Contract Compliance Audit practice and how we develop greater transparency, trust, and teamwork among clients and their suppliers, click here to learn more or reach out directly today.